We know you’d rather be fishing than sitting in port filling out your license paperwork. Purchase your ALASKA FISHING LICENSES in advance and provide us with the license number(s) on your reservation form via the guest portal for your reservation. When you buy your license in advance, we will pay you CASH to cover the purchase price PLUS an additional $5 on board. That is our way of thanking you for getting us fishing rather than filling. Why? The answer is simple. We like fishing, not filing, and think you do too. If everyone has a license in advance, we are able to leave the harbor faster and get out fishing…and we’re willing to pay you $5 to help make it happen. 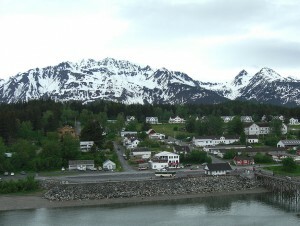 What sets I FISH HAINES ALASKA apart from the rest is our great service and greater choice in charter fishing activities – not to mention “Peggy Sue”, our fully equipped 48′ Uniflyte Sport Fishing cruiser – head (that’s bathroom to you) included! Book Now and we’ll show you how. (but it will s l o w things down.) When you GET YOUR own LICENSE in advance, you SAVE in 2018!